Simplicity and elegance are the core attributes of the products in our Viewrail line. Here, our stainless steel railing provides supreme beauty to this modern home. The Keymount Kit allows the outer face of the end post to remain clear. 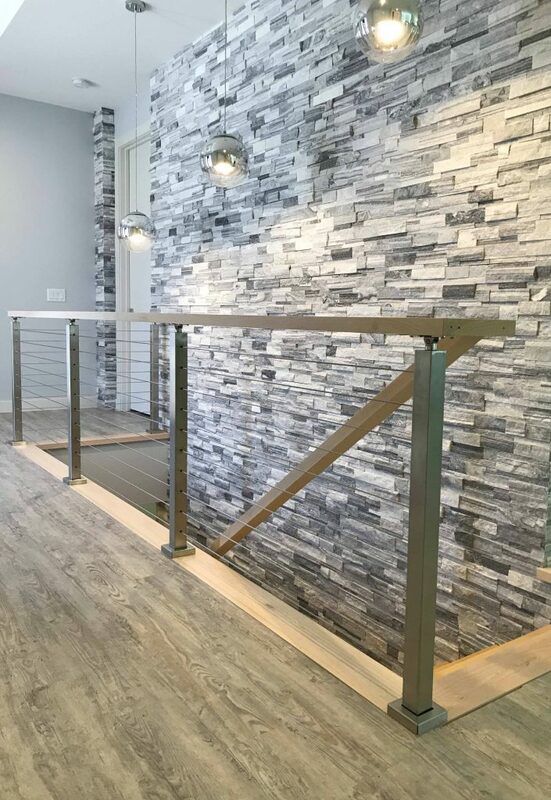 The wood handrail serves as a unique accent against the stone wall. Finally, the 5/32″ cable is practically invisible, leaving the space feeling open and light. Learn more about cable railing systems and let us know how we can help you build the railing of your dreams.